In 2015, Simon was dying from terminal cancer. I confess, I couldn’t handle being a ‘model supporter’ and stressed out so much I needed to find ways to soothe my anxiety-riddled brain stuck like a scratch on a record. It was hard to be a supporter, and a mother to my children, wife to my patient husband, a business owner, and friend to anyone. Simon was going through a terrible time. People would say he was a ‘fighter’, or would ‘battle on’. The reality is that it’s incredibly stressful for the person suffering. They have to manage treatment, life, planning, being a family man and knowing he was exiting his own career, so he investigated his own methods to heal using lymphatic massage, acupuncture, floatation tanks, oxygen tanks, trips away doing bucket list activities, medicinal drugs and focusing on finding the most stressless environment possible. In that time, I learned first-hand how supporters need support. So much so, that one Friday night I made an emergency booking at my local floation centre for the next day explaining to the poor receptionist how I needed a miracle cure to calm my mind. I recall oversharing – a lot – during the call, a symptom of how desperate I was to remove the stress my mind couldn’t flee from. The next morning, I entered a calm environment made for those who need to relax the most important organ used to analyze, reason and be emotionally sound; the brain. The science-part is beyond what the brain can comprehend in the moment, but during and after the float you notice the shift from anxiety to calm, especially when you have finished your hour of pitch-black silence and near sense-free floating with the occasional lapping and bump into the sides. The brain quietens. Whatever category 4 rushing the brain experiences quietly downgrades to a category 2, which can feel like a near miracle. I immediately fell in love with the hour of isolation and bought a pack of 10 floats. As a self-confessed workaholic, I realized it was the only time I could stop myself from working and the lasting effect prevented me from going near my mobile device for several hours afterward. I was a living and breathing demonstration of the floating effects where serotonin and dopamine enhanced my mood by abating my anxiety cycle. The result? I was closer to ‘normal Caroline’. I only used 4 sessions in that month, and I felt ‘fixed’, despite Simon passing several weeks later. Honestly, it felt like speed meditation and the fastest way to being able to handle all the stress I was absorbing around me. It’s now 2017 and my friend anxiety returns enough for me to want to shoo it away. This time it’s mostly from pain thanks to the longest zip-line in North America and a heavy workload playing against each other to ruin me. My neuroscientist and EI expert friend, Dr. Nicole Gravagna (you should check out her 500+ Quora articles on EI) told me plainly that she felt a little overwhelmed when she saw my workload from afar. I admitted I felt pretty overcooked and quickly realized in the email exchange how much I needed ‘a float’. I booked one the next day with my credits from 2015. No self-confession necessary this time. I had mental recharging to do and I didn’t need anyone to give me hope – I just needed to get straight into that body temperature water, stat! Returning to the floatation centre, I was happy to be back in a space where its sole purpose is to help turn your brain off. 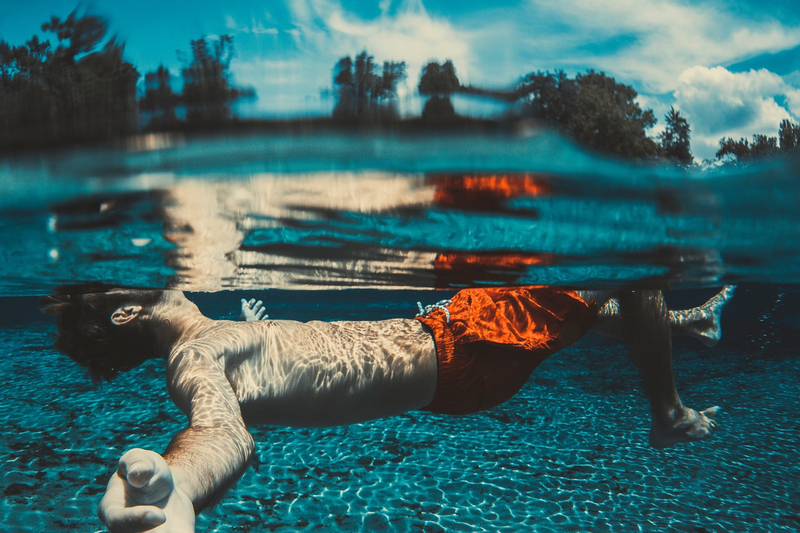 I relaxed and centred quickly, so much so that an old memory surfaced and I felt myself smile when I recalled my favourite childhood swimming pool activity. I would float, in the pool as a child, and as an adult in Asia – for hours – when I didn’t have kids to watch out for. Eyes closed, ears submerged, belly up, arms loosely stretched out. I would do this for the longest time. No interruptions. Just a quiet mind. Something we need more often than we care to admit.